It’s been a long time, huh? I’m still around but took a little break from blogging (as you might have noticed). :) I fully intend to start writing again, and I’ve been working on some things that I really want to share with you. But before we get to that, l’m currently on vacation in London, and we head to Paris for a few days next week. I vowed before we left that I would use the trip as a vehicle to start writing again, so Inuyaki is going into travelogue mode for the next couple of weeks. Our outbound trip consisted of two consecutive redeyes—one of from SF > Boston and then Boston > London. 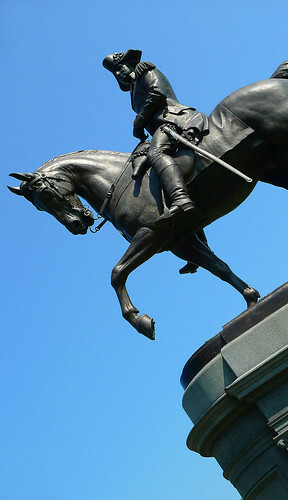 There was a 12-hour gap between these two flights, so we decided use that time to explore Boston’s colonial heritage, as well as some of its more modern treasures. One thing I loved was the water taxi service from Logan Airport to Rowes Wharf. 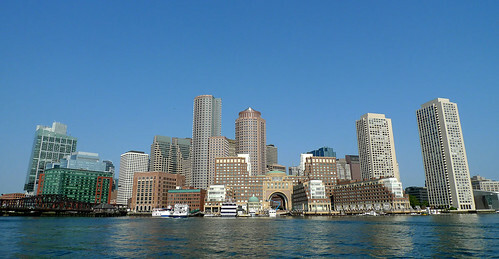 It was a clear day and we had a great view of downtown Boston from the boat. There are several water taxi services available, but we picked Rowes Wharf Water Transport because they were the only water taxi service I could find that offered luggage storage. Downtown Boston from our water taxi. After disembarking, we headed straight for Flour Bakery for breakfast. A couple friends recommended Flour Bakery to me, but it was my old Asian American studies professor Emily Lawsin who let me know that it was owned by Joanne Chang and that she beat Bobby Flay in a sticky bun Throwdown. That information was good enough for us, but this picture is pretty convincing evidence, as well. 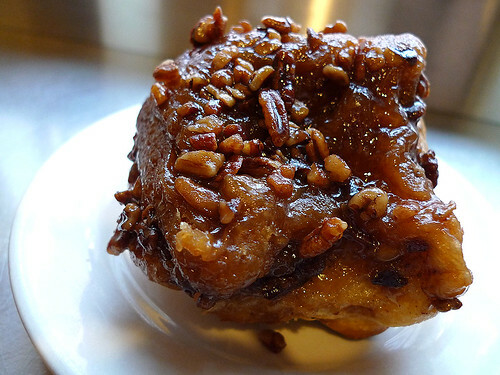 Flour Bakery’s famous sticky bun. We also ordered one of Flour’s bacon, caramelized onion and bleu cheese biscuits and a couple glasses of milk, and afterwards, we really needed to go for a walk, so we headed towards Boston Common. There was one specific reason I wanted to go up there, and it wasn’t to enjoy the park. It was to pay tribute to the movie “Glory,” a movie that my wife and I both love. 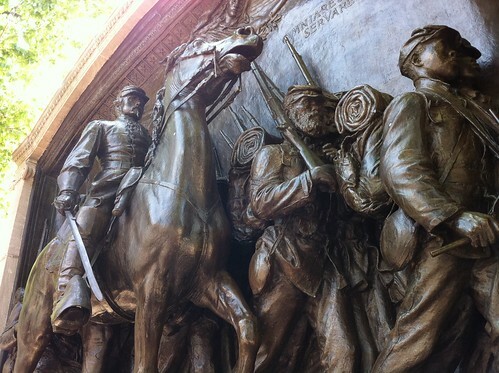 “Glory” tells the story of Col. Robert Gould Shaw and the 54th Massachusetts Volunteer Infantry Regiment, the first all-black regiment to fight in the Civil War. There’s a monument dedicated to them in the northeast corner of Boston Common, and we had to check it out. 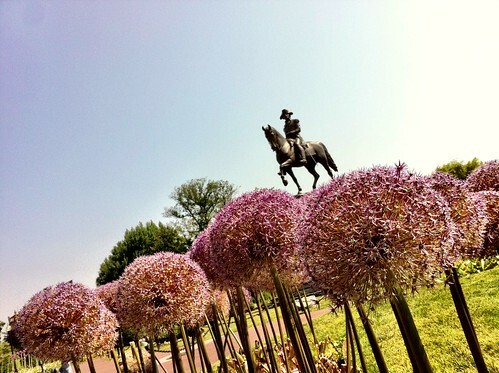 We continued through The Public Garden and we had a little fun taking pictures of the George Washington Statue. 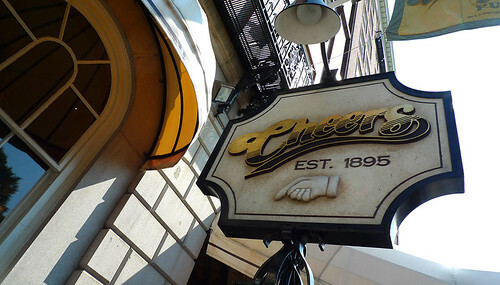 We were going to hop on the T and go to Fenway Park for a tour, but we decided keep walking. We walked down Commonwealth Avenue and admired the neighborhood, and then we worked our way past the Boston Architectural College and the next thing you know, we’re in front of Berklee College of Music. Fenway was close and in sight. We trudged along, walking down Boylston Street and then Ipswich until we saw the back of Fenway Park. Now, I’m not a Red Sox fan, and I’m not even the best baseball fan in the world (especially with my Dodgers in a state of disarray), but I still love baseball history and Fenway’s full of it. My wife could care less about baseball, or sports in general, but she’s been a great sport after dragging her on a tour of old Yankee stadium and now Fenway. 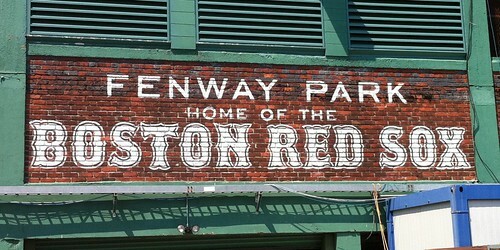 This sign is on a wall near the back entrance at Fenway. The tour guides at Fenway lay the Red Sox propagand—er…history on thick, and they’re not shy about taking shots at the Yankees either. 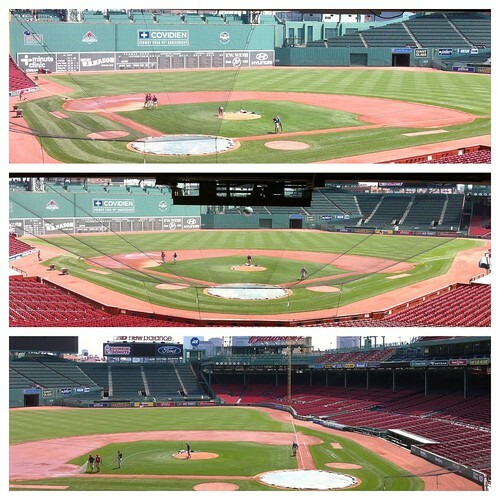 I don’t remember the Yankees stadium tour guide ever mentioning the Red Sox, but when you think about it…why would they? :) Rivalries aside, if you love baseball and remember the feeling you got the first time you walked into a baseball stadium and saw the field, those feelings are exactly the same when you walk into Fenway. 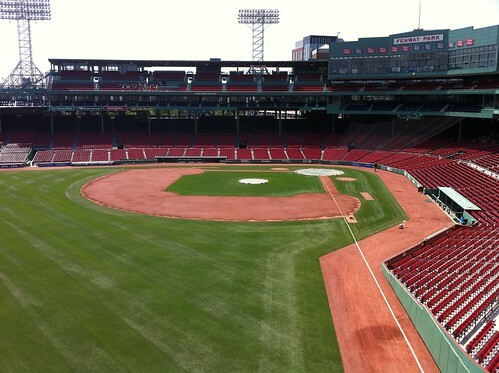 And the view from the The Green Monster is pretty sweet, too. 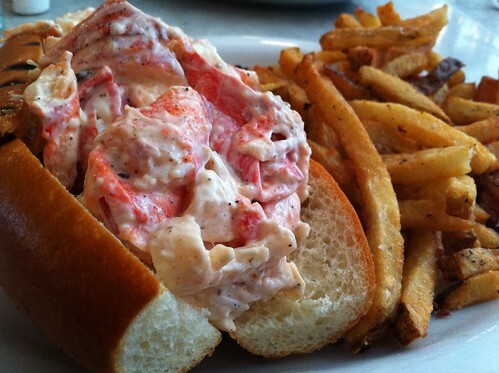 After the tour, we were starving and hopped on the T to Boston’s North End to have Lobster Rolls at Neptune Oyster. We had one hot with butter and one cold with mayo dressing. 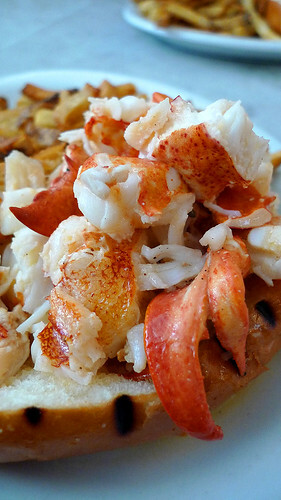 They were both really good, but we preferred the cold lobster roll…probably because it was 86F and muggy outside. Oh, you left already. :) Nice to know that the weather in Boston was nice and that you made it to Flour. Glad to see you writing again. Can’t wait to hear about London and Paris. Hope you two enjoy the rest of your vacation! I’m glad to see you are back writing again as well. I am enjoying reading your travelogue. I’d say you definitely made the most of 6 hours. I’ve done quite a bit of traveling in the U.S. over the last year or so but I’ve yet to visit Boston. If I do I’ll be sure and wear my Laker gear as well. Have you guys been to Chicago or D.C. yet? These two places are probably my favorite places to travel to. The food in Chicago is excellent. Keep the writing coming! Paul, Chicago is a great eating town. There’s a bunch of Chicago posts here from our trip there a couple years ago. 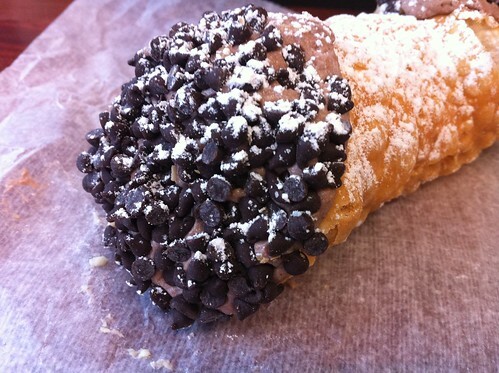 Still need to find a way to D.C.
And I want a sticky bun!